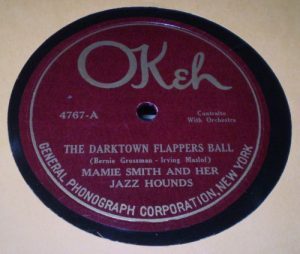 “A” Side: The Darktown Flappers Ball (S-71-086-B). Condition: E, Excellent. "B" Side: Sighin' Around With The Blues (S-71-824-B). Condition: E-, Excellent Minus, with scratches that will sound occasionally; the scratches are more visual than audible.